When designing an MVHR system for a newbuild or a retrofit project it is obviously really important to be aware of the space required not only to site the MVHR unit but also for the associated ductwork and silencers. It is also important to think about sequencing of MVHR ducting installation, particularly in relation to intermediate floor joists and metal posi-joists. 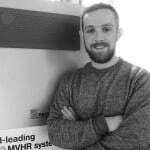 Getting involved as MVHR designers in the early stages of the project is always beneficial as when we are integrated into the design team at an early stage we can design the most efficient MVHR system as we are not restricted by undersized joists and service voids. At this early stage, if we clearly specify the diameters of duct that we require before the joists are specified and so the project engineers/architects can ensure that the ductwork will easily fit through the joists. In most cases the silencers/ attenuators on the MVHR system are too big and will not fit through the joists, it is therefore important that we can design them in to run parallel with the joists. If the joists are in position and installed BEFORE the MVHR ductwork then very often this will create problems. Installing long sections rigid steel ducting through the gaps in the timber joists or steel posi-joists very often won’t be possible and the ducting would have to be cut into small sections to fit between the joists. These small sections would then have to be reconnected in the joists zone, using ‘male to male connectors’. 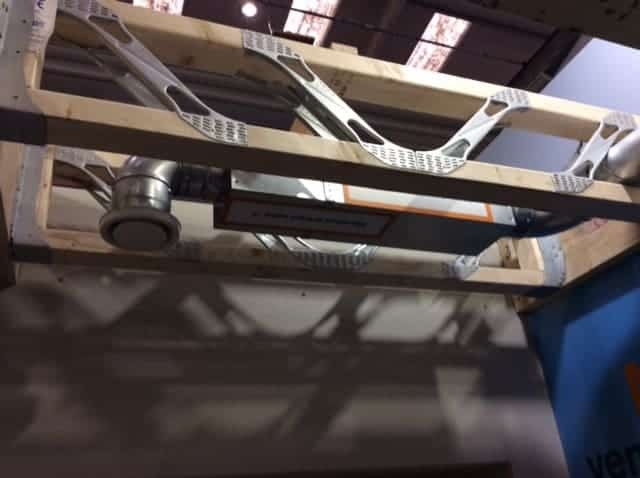 Although this does not have any negative impact on the performance of the system, it can obviously increase the installation time, by requiring the ducting to be cut up and re-joined on site to fit between the joists. The big lesson here is that where MVHR ducting passes through joists it is imperative that the ducting and the joists are installed simultaneously. 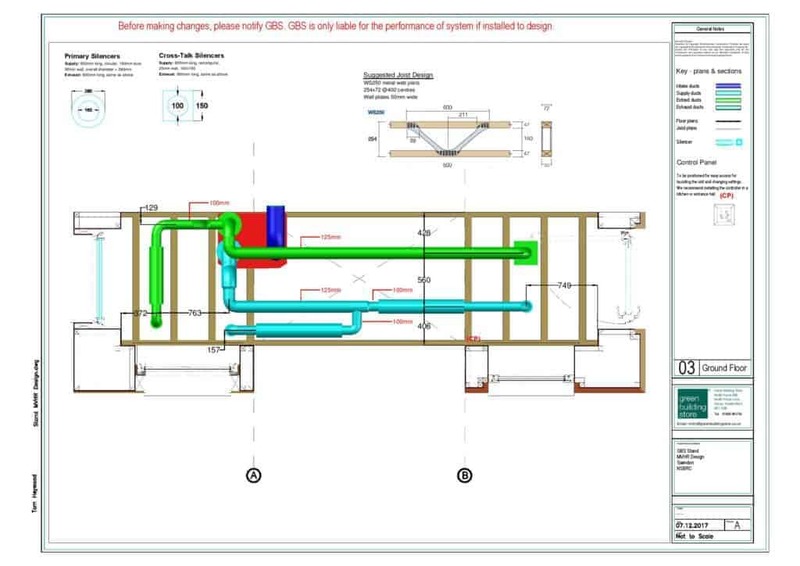 To ensure that our customers avoid similar problems during installation, our design drawings include a large notice highlighting which ducts pass through the joists and noting that they need to be installed at the same time as the joists are erected. The overall message is that the early integration of MVHR design into the project design helps resolves any potential problems at the design stage, rather than at installation stage when changes can be costly as well as slowing down progress on site.